The Carolina Hurricanes will name their new captain after training camp, according to head coach Ron Francis. 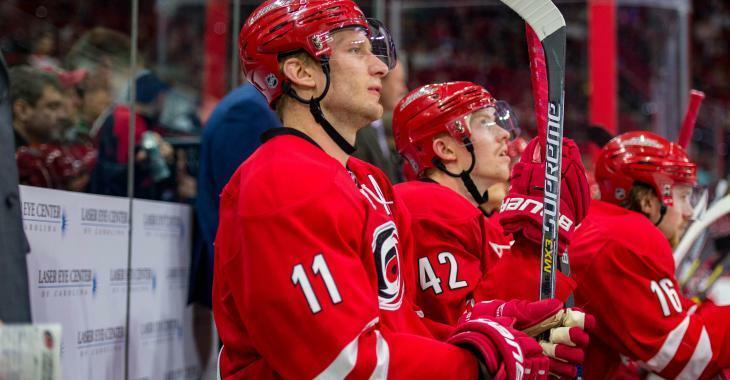 It's a new era in Carolina as former longtime captain Eric Staal was dealt to the New York Rangers back in 2016. There has been plenty of discussion surrounding who will take his place as leader of the team. Staal is the longest-serving captain in Hurricanes history, an honor he held from 2010-16. A prime candidate is his brother Jordan Staal, who has been an alternate for the Hurricanes for each of the past four seasons. Staal leads by example with his two-way game and as a 28-year-old, he’s old enough now to command the respect of his younger teammates as an NHL veteran. He's consistently in the running for the Selke trophy each season and is currently locked up for another six years, meaning there would be stability in place if Carolina decided to go that route. Other candidates could be Jeff Skinner, Justin Faulk or Victor Rask, but they all still may need time to garner some more experience and evolve into leaders at the NHL level. One other potential candidate is Justin Williams, who re-joined the Hurricanes on a two-year deal this summer. Williams is unfamiliar with several of the new young faces in Carolina, however, so while the veteran is a great leader, the team wouldn't likely name him captain right away. It will mark the sixth captain since the Hurricanes arrived in Raleigh in 1997. Faulk, Rask, Staal and Skinner were the alternates last season.